The Okanagan Spring Spring Fling at the NCC is all wrapped up for 2019. Thank you to our sponsors: Johnston Franklin Bishop, Christensen Collision, Laird Wheaton GM and Barron Home Appliance Centre and the organizing committee for bringing it all together! A hearty congratulations goes out to NCC's Team Konyer on their win at BC Club Challenge in Abbotsford! The team (skip Mary Ellen Konyer, third Sharon Wright, second Karen Hungar, lead Kellie Rice, along with fifth Lorna Black) will compete at the Pacific International Cup at Richmond CC in late April. The 2019 Connect Hearing BC Masters Championship is now complete! Congratulations to the winning teams Klebe and Boyce! A huge THANK YOU goes out to all the volunteers who worked so hard to make this event a big success. The Prohibition Party Ladies' Bonspiel was held February 1-3, 2019. It was the bees' knees! Congratulations to our winners and a big thank you to our sponsors: Bastion Trophies, Damsels Fashions, The Comfort Group, and Harbour Chandler Ltd. Photo credit: Seixeiro Photography. A event first place, Team Shearer from NCC. Lead Carol Dorman, second Susanne Grundison, third Susan Chepil, skip Leslie Shearer. B event first place, Team Obee from NCC. Lead Moyra Graham, second Jill McGlenen, third Noreen Martin, skip Marg Obee. The Wineworks Senior Intraclub Bonspiel was held on January 25 and 26, 2019. Team Shearer from Nanaimo CC won the Senior Women's Island Playdown at Qualicum CC this past weekend, January 19th and 20th! 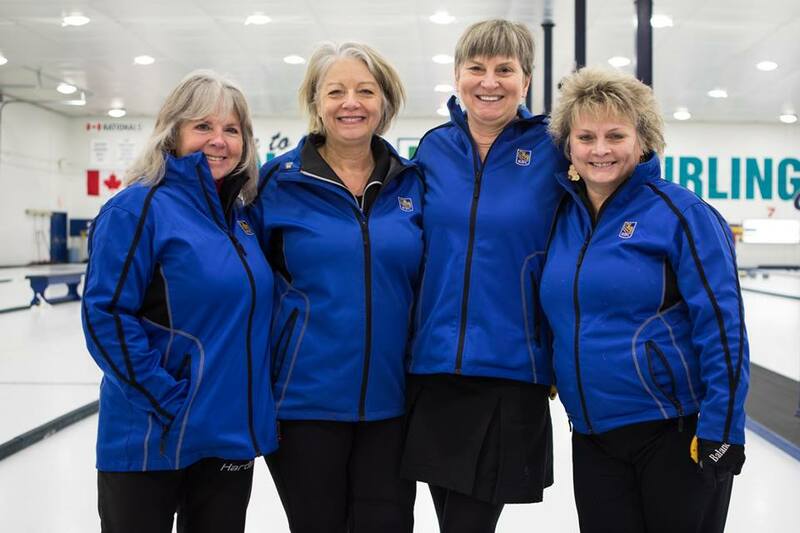 Team Shearer will represent the Island at BC Senior Provincials in Trail, February 19-24. Congratulations to lead Carol Dorman, second Susanne Grundison (Campbell River CC), third Susan Chepil, and skip Leslie Shearer. Well done, ladies!